With it young explorers can scrutinize beetles, spiders, snail shells, pebbles and other natural treasures from really close up. 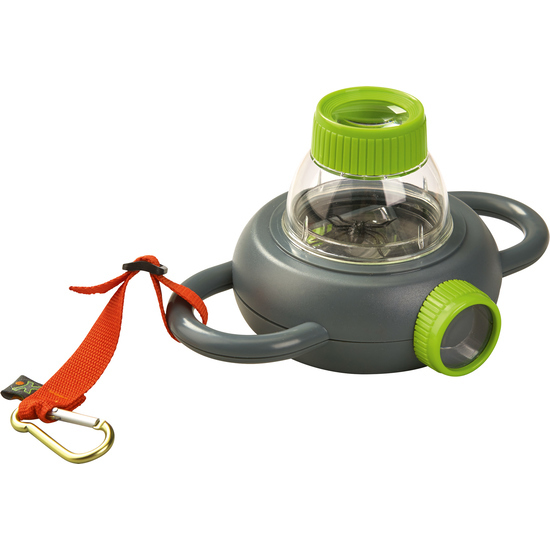 Includes nylon loop and aluminum snap link. Comprises plastic spider.